The statue of the angel holding the tiny bird in her hand sits behind a beautiful red knockout rose. In the spring and summer the Knockout rose is full of beautiful red rose blossoms. 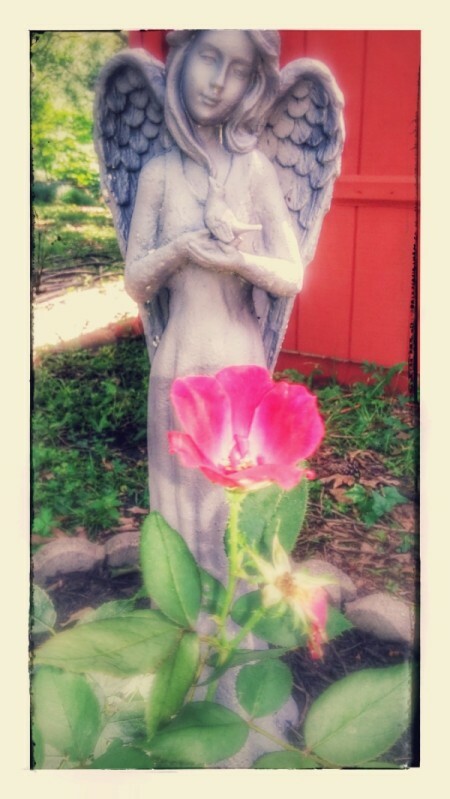 I captured the picture and then edited the picture to make it appear that the angel was in a shadow.